At the end of each year, I love to look back on the things we accomplished (and the things we didn't), how we grew, what I'd do differently next year, and start planning our to do list for the following year. 2014 was a great year in so many ways! We accomplished so many things from our yearly goals that we even added some more things in. 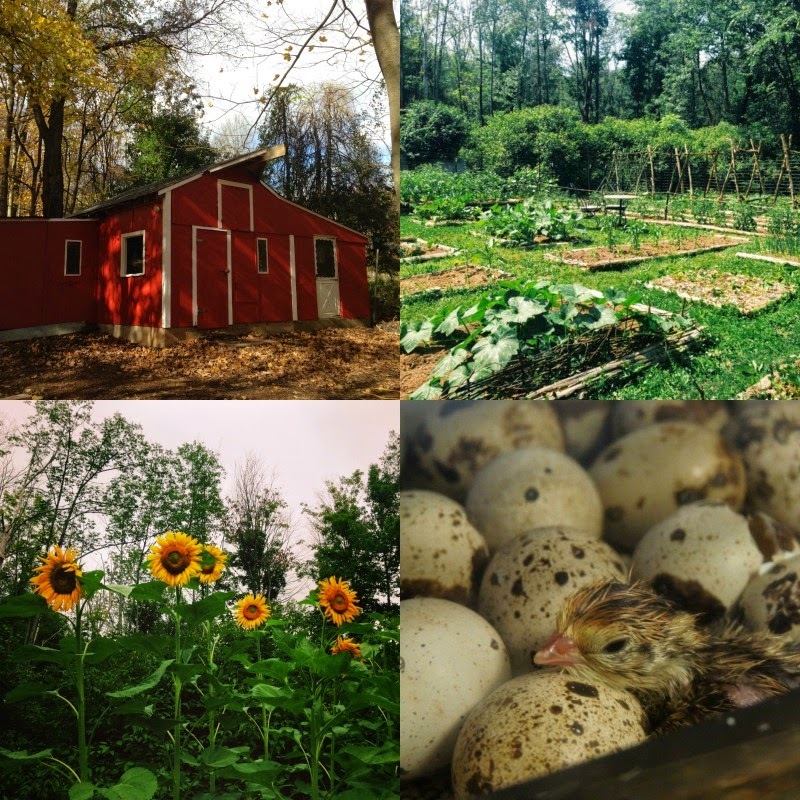 Some of our larger tasks for the year included redoing all of our garden fencing, replacing & adding in new raised beds made from cedar on our property, we finished a lot of fencing, got two more chicken coops ready and fixed up our barn. I feel like we made a lot of improvements over the past year it will make our daily life much easier and more efficient. We also tackled a lot of smaller tasks that really needed to be done. Such as a lot of work in the barn: cleaning out the hayloft, painting the barn exterior, replacing the breaker box, and patching the roof in a few places. We cut down quite a few trees that were a danger to the outbuildings and cleaned up a lot of the old fences. We cleared out an access road to the barn so all we have to do is open the gate and we can drive right through to the barn and have access to the rest of the yard more easily. We planted blueberry bushes (finally!) and more raspberries. We installed our solar powered coop door and our solar coop lights. Both of these have made our lives much easier! We don't have to worry about needing to be there to close or open the door. And we always seem to find some task that needs to be done in the coops after dark so the solar lights have been amazing! The motor we used in our coop is available here and the solar lights are available here. They have both been so helpful in making our day more efficient! 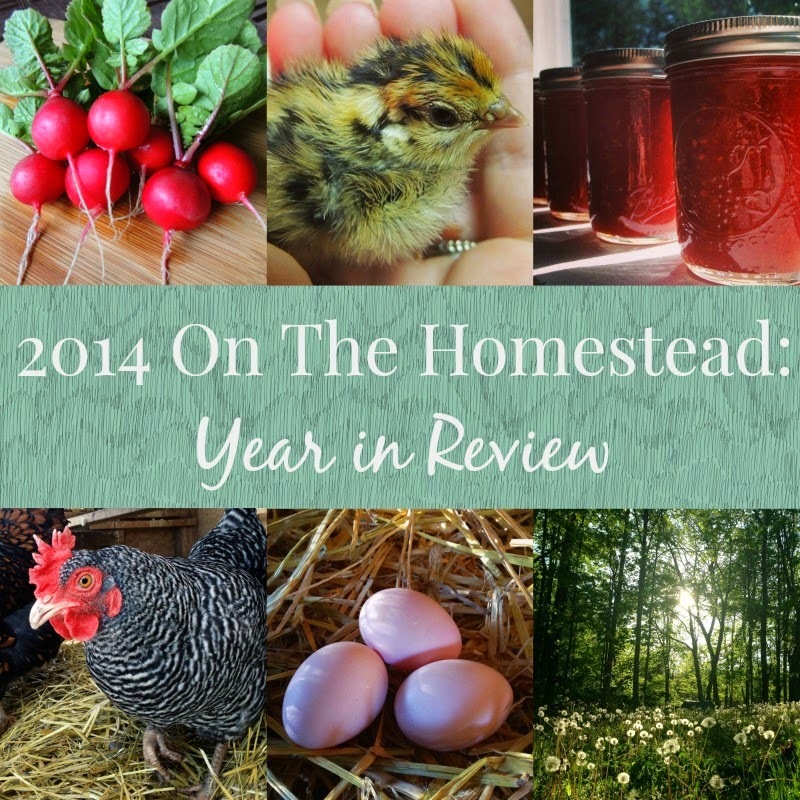 This year we focused mainly on functional things that would help our overall infrastructure of our farm or things that have made daily tasks easier, rather than cosmetic issues. For example, we still have quite a few piles of wood and brush around the yard that need to be dealt with. Now that the leaves are off the trees, I wish we had been able to address that, but it will have to wait for the spring. 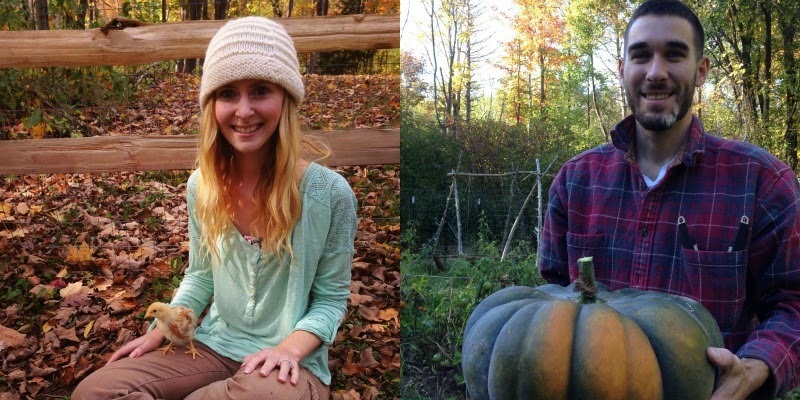 Our highs and lows for the year go hand in hand… We lost a lot of our chickens to two fisher cats which was incredibly sad and forced us to stop our egg sales for a few months. Losing our chickens was most certainly the low point for the year. I wish I could say we could have done something differently and it would have changed things, but it wouldn't have made a difference. Without going into the details of it, let's just say it was a very unique predator attack and I'm still in disbelief over how it exactly happened. But that brings us to our high point for the year.. new chicks! Both baby chickens and coturnix quail, which we hatched out here. 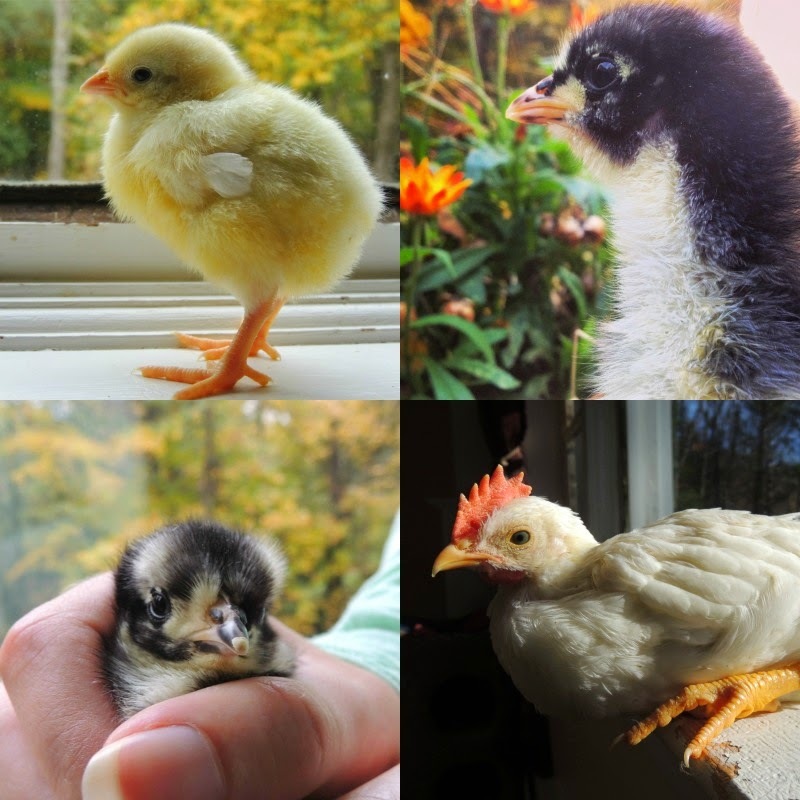 There isn't anything like having little chicks! They brighten your day no matter what. They are so stinking cute! They were the perfect thing to cheer us up after a loss. Overall, we feel like we had a great year. Definitely a few ups and downs, but that is to be expected. We are so happy with what we accomplished and we really got to enjoy the results of our hard work. So that was our year! How was yours? 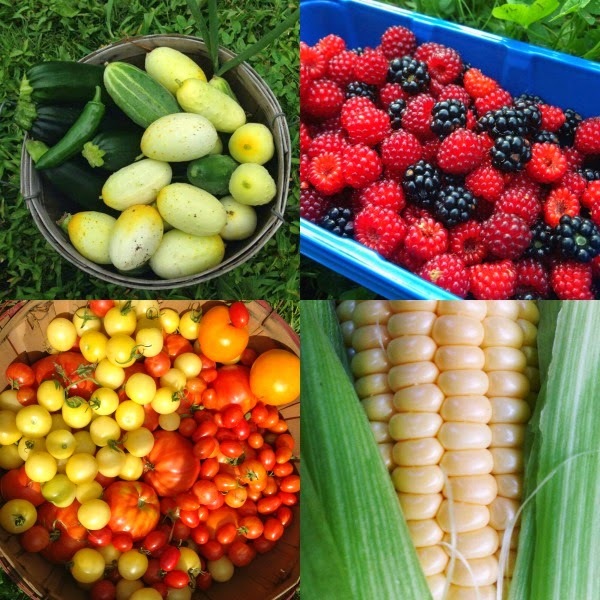 This post has been shared on The Homestead Blog Hop! Thanks for sharing. I love the idea of your solar powered chicken coop door. It sounds like you had a pretty good year minus a few mishaps. Have a healthy happy New Year and best wishes for 2015, Hopefully your be able to accomplish all you plan to and it will be a fruitful year for you.